The weeks of summer are flying by once again! It has been a very warm summer too. This weekend, I am just relaxing. It is too hot & humid to do much. We had a small shower and some rolling thunder but nothing too exciting in the Penacook/Boscawen area. My folks are in Weare camping and they have been having some very big thunder storms – with a lot of rain. My mom just called and said it they knew it was going to rain so much tonight – they would have come home. They return tomorrow morning. My folks have always loved camping, and when we were little – we spent almost every summer weekend camping as a family in our 6 man tent. It was great times. I loved the sound of rain hitting the canvas and my dad saying “Don’t TOUCH the tent it will LEAK!” My sister Jackie and I were sitting in the canvas screen house with my folks last weekend and were reminiscing about rainy days in the tent. We chuckled about my dad always yelling to us not to touch the tent. Food always tasted better cooked over a fire or on the Coleman stove my dad had. There is something about eating outdoors that makes food taste better, and at the same time, makes you hungrier. I always seem to have a huge appetite when eating outside. 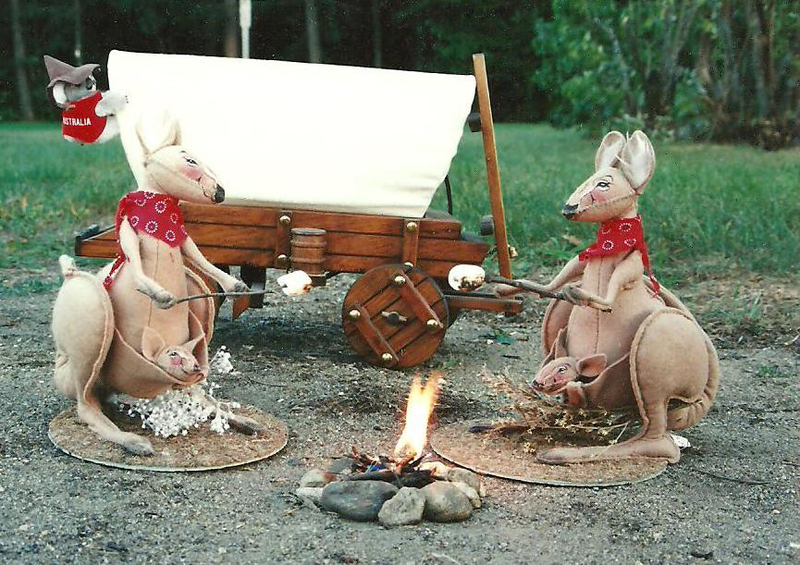 My favorite part of camping growing up (and even now) was the fire! I love building a fire and sitting around the campfire. It is something primal in us, I think. Ever since man was able to start a fire – people have sat around the campfire to tell stories, sing, or just watch the flames dance around the logs under a star-filled sky. It is so peaceful. I love it – especially if there is little chill in the air. Last week, I visited my folks at the campground. After supper, I built a fire and toasted marshmallows. 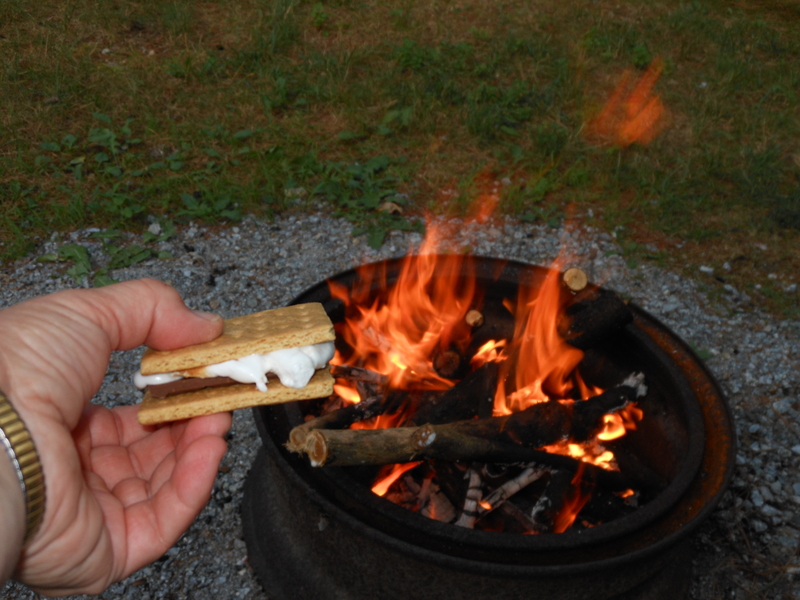 You also have to make s’mores! What is a campfire without a s’more! Good times and summer fun!